What if the cataclysmic Tunguska explosion of 1908 was caused, not by a meteor or a comet, but by a microscopic black hole? What if that fantastic object - smaller than an atom, older than the stars, heavier than a mountain - is still down there, orbiting deep inside the earth, slowly consuming the planet? What if only a rookie government agent and an uncannily-insightful consultant stand between a renegade Russian billionaire and his plans to use the black hole to change history - or end it? What if it's all true? For an alternative view of the Tunguska event and to explore the science behind Singularity, visit the Vurdalak Conjecture website. We will send Singularity to your Kindle at . 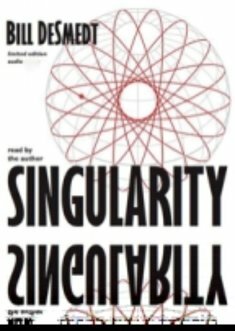 Singularity has been sent successfully to your Kindle!